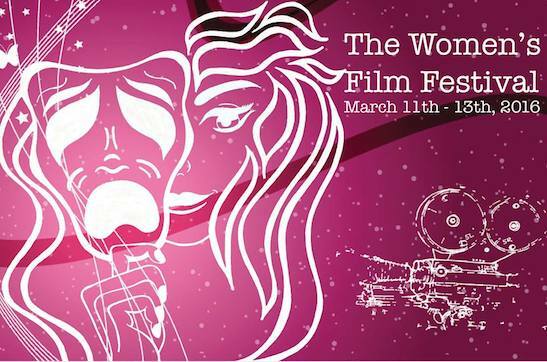 The Women’s Film Festival 2016 (TWFF 2016) is presenting its 2nd annual film festival in Philadelphia, from March 11­-13, 2016. In its second year, TWFF 2016 has curated 20 films from around the world. From special programs and intimate discussions with the filmmakers, audiences will leave feeling inspired and embrace the power of female expression. The festival takes place at The University of the Arts’ Caplan Recital Hall (211 South Broad Street, Philadelphia, PA 19107 on the 17th floor). Check out the full lineup below. The festival kicks off on Friday, March 11th with MANISLAM, a documentary that depict Islam and masculinity in a contemporary David vs Goliath interpretation, followed by an Opening Night wine and cheese reception. with light refreshments. Director Nefise Özkal Lorentzen and Producer, Jørgen Lorentzen will be available for a Q&A session via Skype. DOLLFACE tackles the web-like topic of the institution of marriage. Examining both the good and the bad, the film endeavors to explore everything from the societal, religious, and racial pressures surrounding the mystery of marriage to those that are self-inflicted, imagined, and even truly desired, through the characters of Dot and Max, a contemporary interracial couple faced with the curse of ultimate incompatibility. Director Layne Marie Williams and Make-up Artist/2nd Assistant Director, Hannah Renee will be in attendance for a Q&A session. Veiled Muslim teenager Mariam must decide between taking off her hijab veil or getting expelled from school in 2004 France when a law is passed banning religious symbols from public schools, at the same time that a popular boy in school starts paying attention to her. Carl Jung suggested the possibility of a collective unconscious wherein we might access the collective memories of our ancestors through dreams. In this way, we seem to remember a time from our collective past prior to our evolution into humans. WAXING explores a personal mythology through dreams from written accounts maintained throughout the course of the director’s life. Set to Chemo Castronovo’s ethereal lunar soundscapes, these vignettes are based on dreams in which the Moon played an important role. Equal parts poetry and nightmare, WAXING attempts to engage the world in a dialog about the heaviness of responsibility, our fears of failure, what our dreams could mean, and where they come from. Director Lexi Bass will be in attendance for a Q&A session. A Queer Country explores the development of Israel’s buzzing LGBTQ community in Tel Aviv – recently crowned the gay capital of the world – and what this means in a religious state. Using interview access to Tel Aviv’s mayor, who is controversially credited with pioneering its LGBTQ scene, the film uncovers how liberal attitudes are often at odds with the country’s religious laws. Despite hosting one of the world’s largest gay Pride events each year, Israel’s LGBTQ citizens face an uphill battle to achieve political victories such as the right to marry. They face continued violence – as demonstrated at Jerusalem Pride 2015. Director Lisa Morgenthau and Producer Harriet Davies are expected to be in attendance for a Q&A session. Jennifer MacMillan was the Valedictory Speaker at Commencement- Class of 2006 in her Acting Program. She was also the winner of the Inaugural National Playscripts Funny Women Competition. Published play Enter Bogart. She is currently a professional improviser and founding member of Tongue and Groove Spontaneous Theater Company ( performed with 7 years). She is also the Co-Founder and former Artistic Director of Bright Invention: The White Pines Ensemble. She is internationally recognized storyteller with a 4 star review for the Edinburgh Fringe Festival. Was a Barrymore Nomination for Outstanding Ensemble for Fair Maid of the West with the Philadelphia Artists Collective in 2015. A quote from Toby Zinmans review of The Government Inspector with the IRC -the gifted comedienne Jennifer MacMillan Feb. 2016. Christina May is the founder and president of Image of the Word, LLC, established in 2008. She developed her own company to serve as an Acting Coach for aspiring artists, and to create and showcase her original works as an actor. Christina uses the mediums of coaching, directing, writing, and connecting to inspire and motivate others to be forces of Divine Light & Love in the earth. Melissa Kim is a writer, director, and producer with a B.A. in Electronic Media from The George Washington University. She once rocked the polyester blue jacket of NBCUs Page Program, and spent several years working in Los Angeles in casting, international television distribution, and theater, among many other pursuits. She has since returned to the Philadelphia area and is currently a writer for entertainment website Soompi. On a completely unrelated note, if you run into Taecyeon, please give him her number. There will be a 5 minute performance piece to Cabinet Battle #2from “Hamilton” the musical by Kayla O’Donnell before the films. DNA Paternity testing. One test, many answers. Most of them you don’t want to know! Director Swati Srivastava and Co-Producer Brenden Hubbard may be in attendance for a Q&A session. Director Leonora Pitts may be in attendance for a Q&A session. A twenty-something woman who may or may not be a lost time traveler deals with commitment issues and indecision in present day Philadelphia. Director Amy Frear will be in attendance for a Q&A session. In efforts to save their community’s water source, four brilliant women pose as a book club to work as an Anonymous hackers satellite cell to take down the money behind the fracking project destroying their local reservoir. Their greenest member, Jess, is a new mother of twins and feeling the pressures to balance her home life with her work life. As a result, she screws up her assignment and scrambles to repair her mistake in order to stay in the club. Director, Genevieve McPherson will be in attendance for a Q&A session. My Brother’s Stocking is about a family of robins who inhabit a hollowed out space in the wall of a London building. One summer day, the two baby brothers are playing outside when one of them is taken and killed by a kitten. Shock and sadness come upon the whole bird family. As they grieve, they are confronted with a decision to either take the path of anger and bitterness, or to take the path of grace and joy. Sometimes getting out of the house in the morning is like a Mission Impossible for a single Chinese immigrant mother and her two kids in How is How. Director Pheng H. Tang will be in attendance for a Q&A session. An elderly photographer who loves his pet canary more than anything becomes jealous when a young boy makes a connection with his bird causing a love triangle. Director Ameneh Moghaddam may be in attendance for a Q&A session. How Can We Make Female Media Makers in Philly More Visible to the People Who Hire? David Dunn is one of the co-founders of All Ages Productions. As a director he has worked for clients such as: Sailor Jerry Rum, Lily Pulitzer, Hendricks Gin, Britta/Mavea, Health Republic, Dockers, DIAL for Men, TYR, Warby Parker, CHOP and many others. Dunn’s personal works have shown in galleries and festivals nationally. He has completed two US tours of his work video work and over six tours of his performance work. He is also a co-founding member of the Copy Gallery, an alternative arts exhibition space, and the Small Change Experimental Film Screening Series in Philadelphia. Dunn was also a member of the renowned art collective Space 1026 and has shown work with them in venues such as the Institute of Contemporary Art in Philadelphia, Bravinlee Gallery in NY, and LoBot Gallery in Oakland, California. Maureen Schultz is an experienced content creator strategically positioned at the crossroads of traditional TV, digital content and social media. She skillfully guides shows and cross-media projects from initial concept to top honors and awards. Whether producing a broadcast TV series, a YouTube channel or a social media campaign, Schultz engages audiences by merging compelling storytelling with new forms of video and technology. Combining her multifaceted production experience with digital strategy skills, Schultz creates effective and entertaining content for Sesame Workshop, Disney, Discovery Health, Animal Planet, and other prestigious clients. Schultz’s proven expertise across all phases of production enables her to bring together and lead the best talent for any project. Her work has garnered multiple awards, among them an Emmy, Telly and BDA Promax. Unlike some industry folks, Schultz is proud to admit she watches a lot of TV and constantly monitors digital and social media channels. It’s not just a job, its a lifestyle, after all. Spence currently serves as the Chief Business Development Officer for BoatHouse Pictures. In 2012, Spence, Andre Saballette and Mario Maiale, and began BoatHouse with $100 and a very big dream: to engage a community of storytellers in Philadelphia helping bring their visions to life. In his capacity as a cofounder & CBDO, Spence seeks to forge partnerships with those interested in working with a unique creative film organization, building a strong local business community, supervising the logistical needs for clients, and leading the strategic planning for the company at large. He is a proud graduate of both West Catholic Preparatory High School and La Salle University. Spence serves on the boards of several local community organizations including the West Catholic Alumni Association Board of Governors, The Overbrook Park Church of Christ, and The HER Project, where he serves as Chairman of the Board. Jacqui Sadashige (Moderator) received her BA from Amherst College in English and Fine Arts, an MA in English from Indiana University, and her MA and PhD in Classical Studies from the University of Pennsylvania. Dr. Sadashige is currently a Senior Lecturer for the Critical Writing Program at the University of Pennsylvania where she teaches writing seminars that address race and popular culture, with an emphasis on film. Her scholarly interests focus on the ways in which popular culture reflects and refracts our views on race, gender, and species. In addition to teaching and writing about popular culture, Dr. Sadashige is also a staff member of the Philadelphia Asian American Film Festival, a local fitness professional, and an Elephant Ambassador for the Save Elephant Foundation in Thailand. For more than 20 years Platoon personal training has been helping people in the Philadelphia, PA get in shape and feel better. They train the body the way it should perform and function in real life. Platoon Fitness has been generous to teach our women how to defend themselves if under attack by another person. Please join us in this free 15 minute demo with a Q&A by fitness instructors by Platoon Fitness. Gender Journeys: More Than a Pronoun is the first part of a documentary series that focuses on the #TransLivesMatter movement. The filming, which took place at Luke Allen Productions LLC, is part of a larger project that hopes to, according to Christina May, producer, and Tess McChesney Kunik, filmmaker document intersectionality within the Trans* identity. Those interviewed were a host of professionals and activists in the Philadelphia who had the expectation to highlight lives that are often underserved. Director Tess Kunik, Producer, Christina May and Executive Producer Luke Allen will be available for a Q&A session. Director Margaret Polzine will be in attendance for a Q&A session. Frances Reed identifies as gender non-conforming. While they love their body, they have struggled with pain and injury connected to their gender presentation. Frances story is about the challenges and joys of living in ones body, while also seeking to connect and grow in relationship and service to others. This short documentary follows Frances and their long-time partner Jessica as they navigate life together, running an evolving community wellness space called Freed Bodyworks, and being who they are. Director Kristin Adair may be available for a Q&A session. Tara, a quirky, high-strung girl in her 20’s visits her hometown, for the first time since leaving at 17, to crash her high school sweethearts wedding. Through a series of awkward encounters and ridiculous scenarios she finds that not too much has changed back home, yet everything has changed. Two very different and estranged sisters come together to celebrate their mother’s new marriage. Dramatic and comedic moments ensue as the sisters tackle issues of sexuality, conformity and family dynamics strengthening their sisterly bond. Director Michelle Brightman will be in attendance for a Q&A session. Nursing heartache, a queer woman finds temporary reprieve while immersing herself in a Portuguese community street party. A teen photographer in the south of France develops a tense relationship with his mother’s new boyfriend. A prostitute creates a bedtime story for her son about his father whose identity even she doesn’t know. Rajakumaran is a mono act involving two characters, one of which marks their presence only through voice. Rajakumar tries to bring out the social issues regarding prostitution and how the children born to prostitutes face a tough life ahead of them. The film is the debut venture by writer and director Sarath Menon. Renowned art house cinematographer MJ Radhakrishnan’s cinematography and the editing skills of B. Lenin make this film unique. Director Sarath Menon may be in attendance for a Q&A session. An elite officer of the Philippine National Police must swear off against a crime lord to rescue a kidnapped girl. Two children in a building: the guard is outside. After being orphaned in the middle of a harsh Montreal winter, teenager Fern resolves to avoid her mothers tragic fate by becoming a millionaire. “All you need to do is save,” according to the book How to become a Millionaire. So, with Youth Protection at her heels, she lies to get a job first as a live-in janitor and then another as a dishwasher, saving whatever she finds along the way. But despite all her smarts and fierce determination, Fern’s house of cards beings to crumble, until she realizes that she may not be as alone as she once thought. Based on the young adult novel by Edeet Ravel, starring the newly discovered Imajyn Cardinal, The Saver was written, edited and directed by award-winning filmmaker Wiebke von Carolsfeld (Marion Bridge, Stay). Director Wiebke von Carolsfeld and Producer John Christou will be available for a Q&A session via Skype. This documentary short from The UnSlut Project asks: Why is the sexual shaming of girls and women, including sexual assault victims, still so prevalent in the United States and Canada? Through interviews with sexuality experts, advocates, and media figures, UnSlut: A Documentary Film explores the manifestations and often devastating results of sexual shaming in North America and offers immediate and long-term goals for personal, local, and institutional solutions. Moms and Meds: Navigating Pregnancy & Psychiatric Medication is a feature-length documentary film that explores the options women face when they want to have children, but take psychotropic medication for mental illness. The film follows multiple women who are dealing with this issue: some who have chosen to wean off of medication prior to or during pregnancy. The film focuses on the personal stories of these women, and the many facets, both positive and negative, of making such decisions. It addresses the struggle and emotional turmoil, as well as the hope and perseverance of the featured women, and advocates for their ability to make the best individual and personal choices for themselves and their families. At the crossroads between documentary filmmaking and artistic creation, Breath of Clay (Souffle d’argile) renders the inwardness of the artist Philippine Schaefers work. Discreetly, the camera glides close to the creative process to capture photographic images of the outcome of this intense work. Here clay has the primary role. Clay as a reminder of Mother Earth, of Genesis, of the first artistic creations, the healing material since ancient times … Clay and the body dancing between fascination and obsession to the rhythms of an almost childlike freedom. In the form of a triptych, the film shows true moments of inspiration rarely captured. And without any second take. A symbiosis between the artist and the filmmaker, closer to Philippine Schaefers creativity and intentions, her favored themes: nature and human. A bold work, one that moves us by its immediacy. Portrait of a young female woodcarver in West Virginia who, despite having some social anxiety issues, has a 50,000+ following on social media and a long backlog of orders. Director Marc Menish and subject Bryn may be available to do a Q&A session via Skype. What face do you see when you look in the mirror? Hide and Seek is a short film that speaks to the societal challenge that women, and especially women of color, endure every day. To look in the mirror and to hope to see a face other than your own. One that is closer to what magazines, television and movies define as beautiful or even normal. Co-Producer and Lead Actress, Lia Chang and Co-Producer and Director Garth Kravits will be in attendance for a Q&A session. Using the silent but powerful art of dance to raise awareness on the dangers of staying in an abusive relationship. Starring world champion Philadelphia dance company Art in Motion Latin Dancers this short film tells the story of a group of women and their struggle in deciding whether to stay or go and the roller coaster they’re on. We get a personal view on the story of Liz and Darlin as we enter Liz’s worst nightmares and see their home life. Director Stephanie Ramones will be in attendance for a Q&A session. Director Leah Meyerhoff will be available to do a Q&A session via Skype. The Women’s Film Festival (TWFF) is an emerging event, bringing in audience members from all over the area and filmmakers, actors, and leaders from around the world. The festival aims to showcase projects that engage, inspire, and connect our community and as well to shed light on women’s issues. For more information about TWFF’16 visit thewomensfilmfestival.org and follow on twitter @thewomensfilmfestival. Lia Chang is an award-winning filmmaker, a Best Actress nominee, a photographer, and a freelance Arts and Entertainment reporter. Chang recently received a Best Actress nomination at the 2015 Asian American Film Lab 72 Hour Shootout. Lia has appeared in the films Wolf, New Jack City, A Kiss Before Dying, King of New York, Big Trouble in Little China, The Last Dragon, Taxman and Hide and Seek. She is a Scripps Howard New Media Fellow at Columbia’s Graduate School of Journalism, a Visual Journalism Fellow at the Poynter Institute for New Media and a Western Knight Fellow at USC’s Annenberg College of Communications for Specialized Journalism on Entertainment Journalism in the Digital Age. She is the recipient of the AAJA 2001 National Award for New Media and the OCA 2000 Chinese American Journalist Award. Avenue Magazine named her one of the “One Hundred Most Influential Asian Americans”. 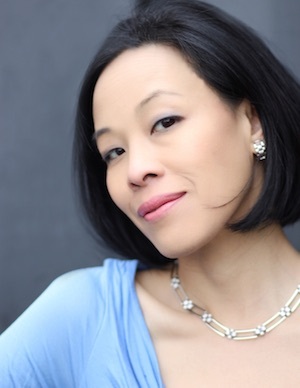 She is featured in Joann Faung Jean Lee’s book Asian American actors: oral histories from stage, screen, and television. She is profiled in Examiner.com, Jade Magazine and Playbill.com.